The employer shared responsibility provisions were added to the Internal Revenue Code by the Affordable Care Act (ACA). Under these provisions, certain employers (called applicable large employers or ALEs) must either offer health coverage that is “affordable” and that provides “minimum value” to their full-time employees (and offer coverage to the full-time employees’ dependents), or potentially make an employer shared responsibility payment to the IRS, if at least one of their full-time employees receives a premium tax credit for purchasing individual coverage on a Health Insurance Marketplace (Marketplace), also called the Exchange. Under these provisions, certain employers (called applicable large employers or ALEs) must either offer health coverage that is “affordable” and that provides “minimum value” to their full-time employees (and offer coverage to the full-time employees’ dependents), or potentially make an employer shared responsibility payment to the IRS, if at least one of their full-time employees receives a premium tax credit for purchasing individual coverage on a Health Insurance Marketplace (Marketplace), also called the Exchange. Whether an employer is an ALE and is, therefore, subject to the employer shared responsibility provisions depends on the size of its workforce. In general, employers employing at least a certain threshold number of employees (generally 50 full-time employees including full-time equivalent employees, which means a combination of part-time employees that count as one or more full-time employees) are ALEs. Employers subject to the employer shared responsibility provisions, called applicable large employers or ALEs, are required to report under section 6056. An ALE is an employer that employed an average of at least 50 full-time employees (including full-time equivalent employees) on business days during the preceding calendar year. Consult your tax advisor for rules as they apply to your specific situation prior to implementing any ACA reporting. Struggling to populate your Sage 100 or Sage 100c payroll with the data required for ACA year-end reports? While Sage offers a way to capture ACA reports it doesn’t provide many streamlined ways for you to populate the required data. 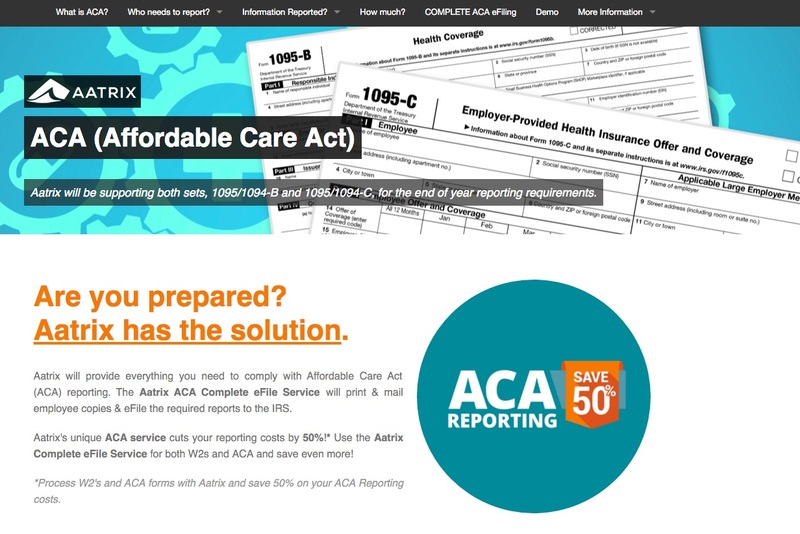 This is where ACA Data Assist can help. 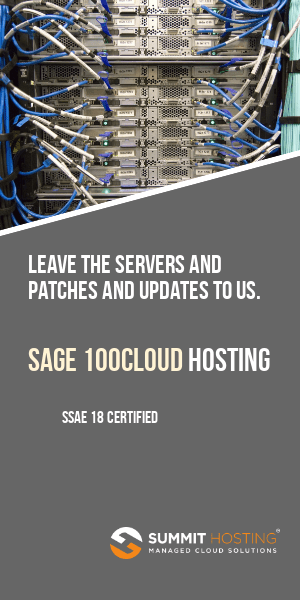 For more details on ACA Data Assist for Sage 100 – see this link . 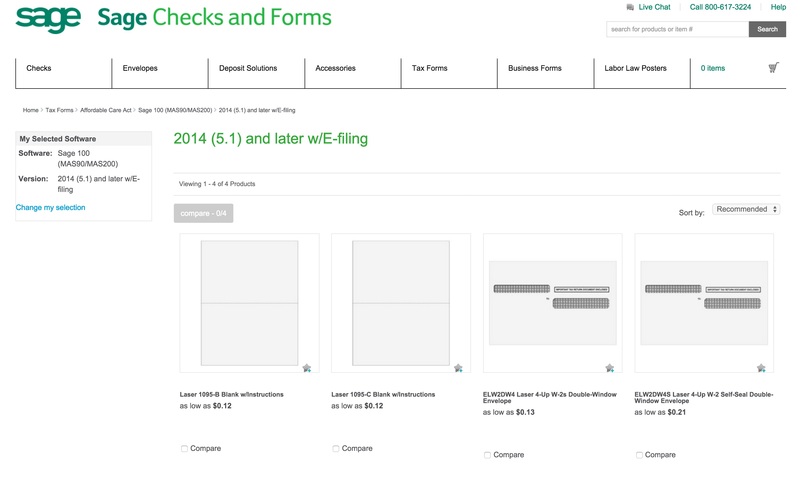 Plain paper forms compatible with the printing of your Sage 100 ACA form 1095-B and 1095-C have been posted to the Sage Checks and Forms website. These forms, while blank, contain the necessary perforations and instructions to make them compatible with the IRS requirements for form printing.